My co-workers and I recently got on the topic of “untraditional benefits” organizations have begun offering to not only attract but also retain employees. Specifically, we talked about Expensify, known for the month-long retreats they take all of their employees on every year. It got me thinking: Who else does this? While paid time off is pretty commonplace, finding the capacity in your work schedule to utilize those days is often difficult; and for many, financial strains make vacations a seemingly impossible dream. I did some digging and found Expensify is not alone. Many organizations are now paying for employees to go on vacation. According to a recent article by Treasury & Risk magazine, companies such as Evernote, AFAR, Google, Airbnb and Betabrand provide vacation allowances for employees traveling across the country and around the world. 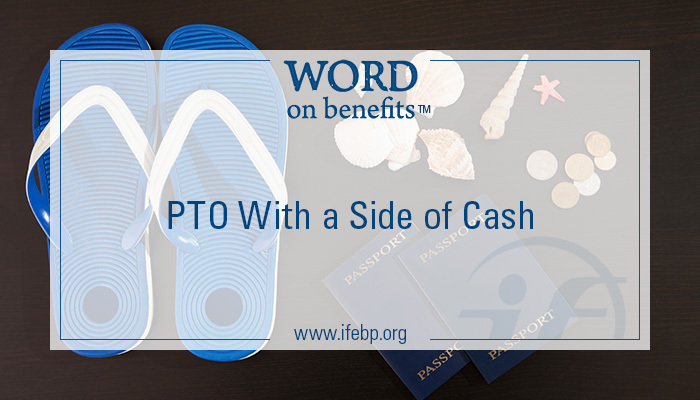 So why are fringe benefits like paid vacations gaining in popularity? There is a common belief that a relaxed and rejuvenated employee is going to be more productive and more committed to his or her work. Additionally, according to Adam Galinsky, a professor at Columbia Business School, there is a direct link between travel and creativity. And, it’s really no wonder—Of course someone who has had time away to disconnect and opportunity to experience different things will bring new ideas and perspectives to the table, which ultimately contributes to the bottom line. But this isn’t just a feel-good thing—It’s a numbers thing. According to Forbes magazine, the average American spends $1,145 on vacations every year. Meanwhile, studies indicate employee turnover costs employers 6-9 months’ wages for every employee who leaves. While this may not be a point of concern for all organizations, those with high turnover rates may want to consider paid vacations as a smart business move with the potential to save them tens of thousands of dollars every year. Paid vacations may not be a common benefit in the working world today, but tomorrow could be a very different story. And regardless of your stance on the topic, one thing remains true—untraditional benefits such as paid vacations are gaining in popularity and will only play a stronger role in employee attraction and retention as time goes on.